The excerpt is from the homily delivered by Cardinal Stefan Wyszyński, the Primate of Poland, on May 24, 1964, at the tomb of the Servant of God Fr. Stanislaus Papczyński in Góra Kalwaria near Warsaw. Cardinal Wysyznski was a very significant person during the Cold War. He became the Primate of Poland when made a cardinal in 1953 by Pope Pius XII. Additionally he will be known historically as the mentor of Pope John Paul II. Cardinal Wysynski proposed Karol Wojtyla to be an auxiliary bishop in Poland. Karol Wojtyla became Pope John Paul II. 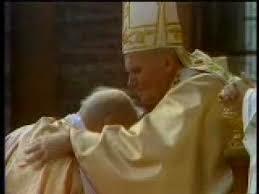 Throughout Wojtyla’s life he was his mentor and his partner. Stefan Wyszynski was born in a village called Zuzela on August 3, 1901, in what was then Russian territory due to the partitions of the late 18th century. At that time the Russian Empire had attempted to make the Polish people abandon their traditions and national awareness. His mother died when he was nine years of age. In 1912 his father sent him to Warsaw to complete his education. He enrolled in seminary and was ordained on his twenty-fourth birthday in 1924. The next four years were spent in Lublin where he earned a doctoral degree in Canon Law and Social Sciences. Upon graduation he traveled extensively in Europe furthering his education. He then taught at the seminary in Wloclawek. His life changed dramatically with the onset of World War II in 1939 and with the Warsaw Uprising of 1944. At first he assumed pastoral duties for working class people, but eventually he became chaplain to members of the resistance movement. After the war, Wyszynski started a restoration project for the devastated seminary, became its rector and editor of a Catholic periodical. On March 25th, 1946, Pope Pius XII appointed him Bishop of Lublin and on November 12, 1948, Archbishop of Warsaw. His life was filled with political upheaval. While the war had ended in 1944, a large segment of Poland was engaged in hostilities with the Stalinist government. The Catholic Church actively supported the anti-Communist government. In 1950 Wyszynski signed an agreement with the civil authorities that allowed the Church to hold property, separated church and state, prohibited religious teaching in public schools and allowed for civil authorities to select a bishop from three candidates. In 1953, more persecution swept Poland. When bishops supported the resistance, mass trials and imprisonment of priests began and Cardinal Wyszynski was among them. In 1953, he began his imprisonment in various locations enduring brutal torture and mistreatment, some highly perverse in nature. He was released in 1956. Pope Pius XII elevated him to the rank of cardinal on January 12, 1953. He never stopped his religious and social work, the crowning achievement of which was the celebration of Poland’s Millennium of Christianity in 1966, the thousandth anniversary of the baptism of Poland’s first prince, Mieszko I. The Communist authorities refused to allow Pope Paul VI to visit Poland, and they prevented Cardinal Wyszynski from attending any celebrations outside of Poland connected to the millennium. In 1978, his brother bishop, Karol Wojtyla of Krakow became Pope John Paul II. Though sometimes at odds with each other, he will be known historically as the mentor of John Paul II. Cardinal Wysznski proposed Karol Wojtyla to be an auxiliary bishop in Poland. Cardinal Wyszynski worked hard during the Solidarity movement in Poland, appealing to the government and the striking workers to be responsible for their actions. 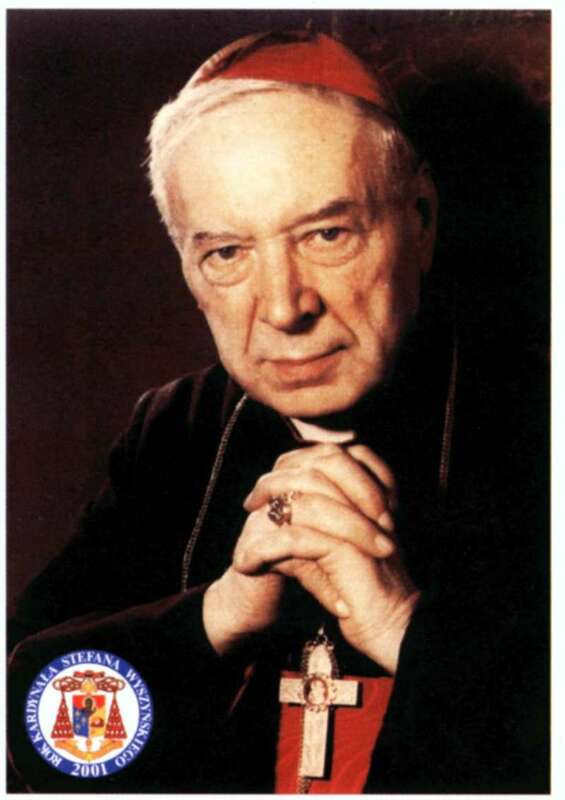 Cardinal Wyszynski, the Primate of the Millennium died on May 28th, 1981. He was seventy-nine years of age. When Karol Wojtyla was archbishop of Krakow, another cardinal was a hero of resistance against communist totalitarianism in Poland. 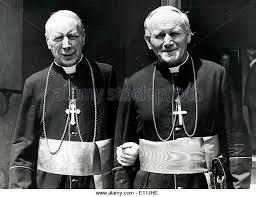 It was his friend Stefan Wyszynski, archbishop of Warsaw. It’s the first important step in the canonization process. Cardinal Stefan Wyszynski participated in the two conclaves in 1978 and helped elect John Paul II. To proceed to beatification, proof of a miracle through his intercession must be shown – for example, a miraculous cure. The YouTube is included to show the great affection with which Pope John Paul II greeted his brother in Christ at the time of his elevation to the papacy.